For the semiconductor industry, safe finished wafer shipment is always assigned a high priority. Here, a coin stack carrying system provides an economical, compact, and efficient system. However, there are special needs too, such as for single wafers, diced wafers on rings, bumped wafers, and compound wafers. Achilles coin stack wafer carrying systems are not only compact in size but also reusable resulting in the best economy of usage. 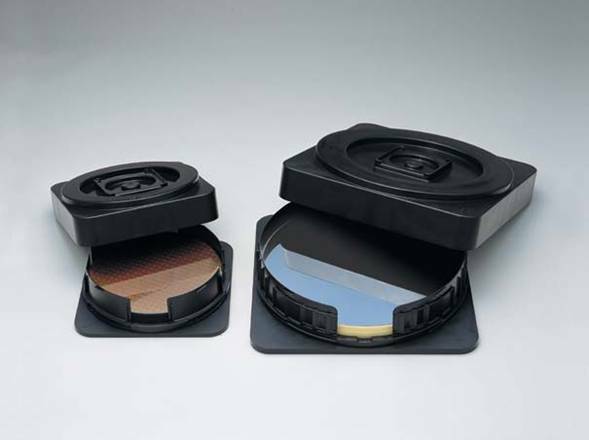 Daitron Incorporated is a premier distributor for wafer packaging. For information regarding our coin stack wafer packaging solutions, Contact us.